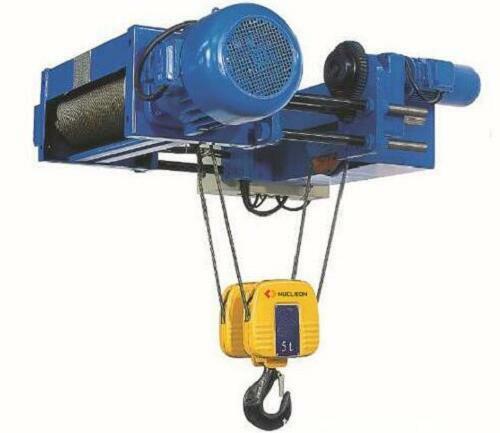 The main function of the explosion-proof electric hoist is to transmit power, reduce the speed, and increase the torque of the drive parts. Once the gear reducer is damaged, it will affect the use of the whole electric hoist equipment, and caused heavy losses. First release the lubricating oil, take out all the parts, remove the rust and dirt on the joint surface. Then use kerosene to combine surface clean, coated with a thin layer of red oil in the joint surface after grinding. Scrape the burr and individual high points each time you grind it, so you can do it 2-3 times. Before the use of explosion-proof electric hoist, it is necessary to carry out good inspection of all parts, so as to avoid accidents during the use of electric hoist.